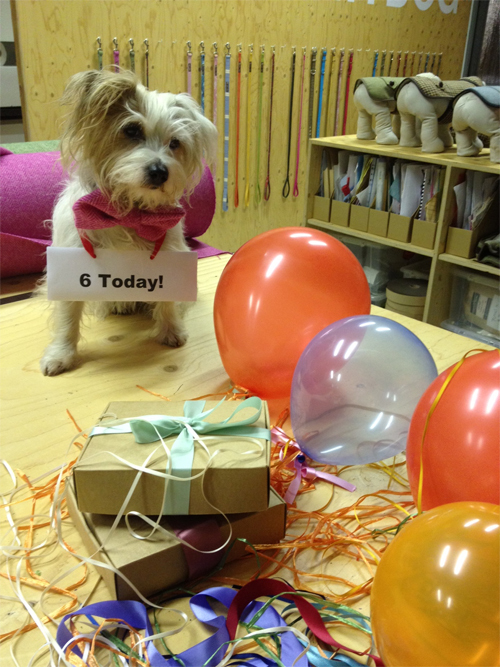 LoveMyDog’s studio muse Rabbit is 6 today! As you can see he’s dressing up for the occasion with a Doggy Bow Wow Tie. Happy Birthday Rabbit!